What if the Pistons Had Drafted Carmelo Anthony? The Detroit Pistons were a powerhouse in the NBA throughout the mid-2000s, grinding their way to seven straight Eastern Conference Finals berths with toughness, energy, and teamwork. However, what if they added a future superstar nearly fourteen years ago who could’ve kept them contending even longer? The Pistons were rolling when the 2003 Draft came around, as they just came off a very encouraging 50-32 season, first in the Eastern Conference. Second-year coach Rick Carlisle made the best of his squad, which featured the newly acquired backcourt tandem of Chauncey Billups and Richard Hamilton, and as a result, the future was looking bright for the upstart Pistons. Unlike most contenders in the league, however, the Pistons earned a high lottery pick from a trade that sent Otis Thorpe to the Vancouver (now Memphis) Grizzlies in 1997, giving them a chance to add another key piece to their roster from the stacked 2003 draft class. The Pistons had very few holes leading up to the draft. 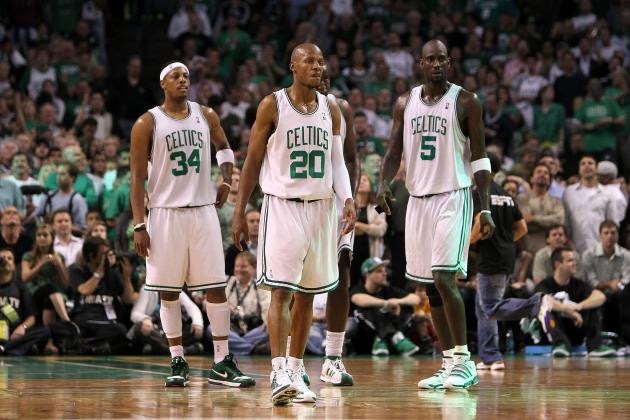 They had a team with high chemistry and elite starting lineup. Along with their starting unit, Detroit had a deeply built bench, that was productive when the starters were not on the floor. Former President Joe Dumars thought that Detroit needed to pair another star big man to complement defensive anchor Ben Wallace, so he decided to take a chance on a relatively unknown foreign prospect in 7-footer Darko Miličić. By doing so, he passed over popular college big men prospects such as Chris Bosh, David West, and recent NCAA Champion Carmelo Anthony. Piston fans heartbreakingly know how the pick worked out. Darko lasted less than three seasons with Detroit, while the aforementioned Anthony has had a very successful, yet ringless, Hall of Fame career between the Denver Nuggets and New York Knicks. This bears an intriguing question, what if Dumars went with the safer decision in Melo and how would it affect the Pistons, the league, and Anthony’s legacy? With that, the NBA landscape is changed forever. If Anthony goes to a Detroit team that already had a gritty team based identity, instead of a Denver team who lacked a scorer to lead them out of the cellar, he wouldn’t be relied on to be the main guy. As a result, this could’ve changed the game of Carmelo as we know it. With Melo in town, 2002 draftee Tayshaun Prince becomes an excellent sixth man off the bench, making Detroit’s already rock solid bench even scarier. The integration of a scorer like Anthony into the offense would look to complement the menacing Goin’ to Work defense. However, with a noticeable hole at power forward, Dumars continues his streak of great personnel moves and goes out and gets, you guessed it, hot-headed, do-it-all veteran Rasheed Wallace. If Anthony buys into Detroit’s system, which is likely considering he has stated in the past that he would’ve liked to be drafted by Detroit, they take the 2004 championship in dominating fashion over the Los Angeles Lakers. The 2003 Denver Nuggets struggled to a miserable 17-65 record, lead by the big man duo of Juwan Howard and Marcus Camby. While they did add key pieces like Andre Miller, Jon Barry and Earl Boykins, the success of the 2004 Nuggets mostly lied on Anthony’s shoulders, as they won 26 more games in 2004 and even made the playoffs. In this scenario where Detroit had picked Anthony, it’s highly likely the Nuggets would settle for Marquette standout Dwyane Wade with the third pick, who probably would’ve led Denver to a similar season. Without Wade in the fold in Miami, the Heat would probably opt for another guard they thought would be able to lead their team, possibly going with Kansas playmaker Kirk Hinrich, who, while a serviceable starter for many years, doesn’t touch Wade in terms of talent. Without a star like Wade in Miami, would Shaquille O’Neal even accept a trade there after the Lakers (still) collapse in the 2004 Finals? 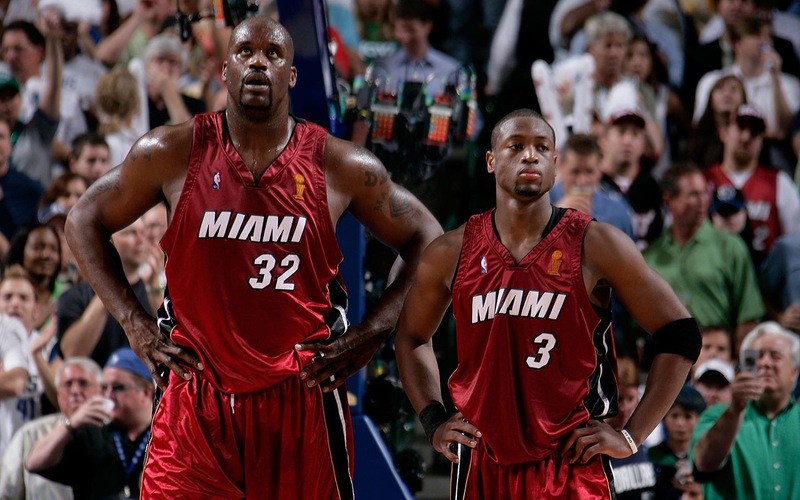 By the time the Heat won a championship in 2006, it was D-Wade’s team. While still dominate in South Beach, Shaq played second fiddle to the superstar guard and couldn’t win a ring there without him. When O’Neal demanded a trade, he stated he would only remove his no-trade clause for three teams: Sacramento, Dallas, and Miami. Without Wade, it’s likely Miami wouldn’t be included in his options and he would’ve been shipped elsewhere, thus making a title for Miami nearly impossible in 2006. Anthony was only 20 for the majority of the 2003-04 season, and it’s interesting to think how far that injection of youth into an otherwise veteran-filled team could carry them in future playoff runs. In the 2005 Finals against the San Antonio Spurs, the Pistons were just minutes away from another championship, but a boneheaded double-team cost Detroit the game and eventually the series. This time around, though, the offensive boost that Anthony adds gives Detroit an edge, giving them another championship in 2005, albeit in a close series. Without a dominant Heat team to knock off Detroit in the 2006 playoffs, it’s very possible that the Pistons make it to their third straight championship series, facing off against a Dallas team that is much weaker than past opponents. Boasting a starting lineup of Jason Terry, former Piston Jerry Stackhouse, Josh Howard, a prime Dirk Nowitzki and one-year wonder Erick Dampier, their overall weak defense wouldn’t be able to contain the Pistons all-around offensive attack and would have a hard time scoring on Detroit’s star-studded defense. The Pistons could handle the Mavericks handily en route to a three-peat. With three straight seasons resulting in a ring for the Pistons, it’s very unlikely Ben Wallace leaves for Chicago in free agency, keeping the now aging core together a little longer. Even with a 23-year-old LeBron James somehow willing a subpar Cleveland team through the East, he wouldn’t have been able to take over that series like he did with Big Ben manning the paint. The Pistons would again go at the San Antonio Spurs in the NBA Finals, this time facing a better overall Spurs team. However, unlike their last meeting, Detroit would obviously be fatigued from their fourth straight finals appearance, and even this always energetic Pistons team would be affected by it. There’s a reason no team has won four straight championships and this would be no exception as a more-rested San Antonio team would pull out a hard fought series against an exhausted Detroit squad. While the Pistons remain good after the Finals loss, the Goin’ to Work era is coming to a close, as the keys of the team are now given to a prime Carmelo Anthony. With a superstar to keep the team relevant, Dumars avoids the fire sale that included the failed quick fix trade that sent Chauncey Billups to Denver for Allen Iverson. While Detroit is still more than relevant in the East, they are unable to win a series over the new super team cooking in Boston. In 2009, the Pistons were starting to collapse as they were swept by Cleveland, but it’s unlikely that a Melo-lead team with a still solid cast would be run over in the first round. But alas, Father Time is undefeated, and most of the Goin’ to Work cast move on to contenders after one last shot attempt to hang one more banner at the Palace, leaving Detroit with one of the greatest scorers of all time to build around. With the decisions Dumars made through the drafts and free agencies of the early 2010’s, it would be hard for Detroit to contend. However, Dumars might’ve made for tactical decisions to build around his star, which would’ve taken away years of painful Piston basketball. Would the Pistons continue to make the playoffs after the Goin’ to Work core had moved on? How far can Carmelo take the team as a leader? Does Coach Larry Brown stay in Detroit? Without Wade in Miami, do LeBron and Bosh stay put in 2010 or go elsewhere? Could D-Wade lead the Nuggets to contention? Does Carmelo stay in Detroit his whole career, and how would this change his game? Lastly, what kind of shape would the Pistons be in today, as Carmelo is no longer a bonafide star? 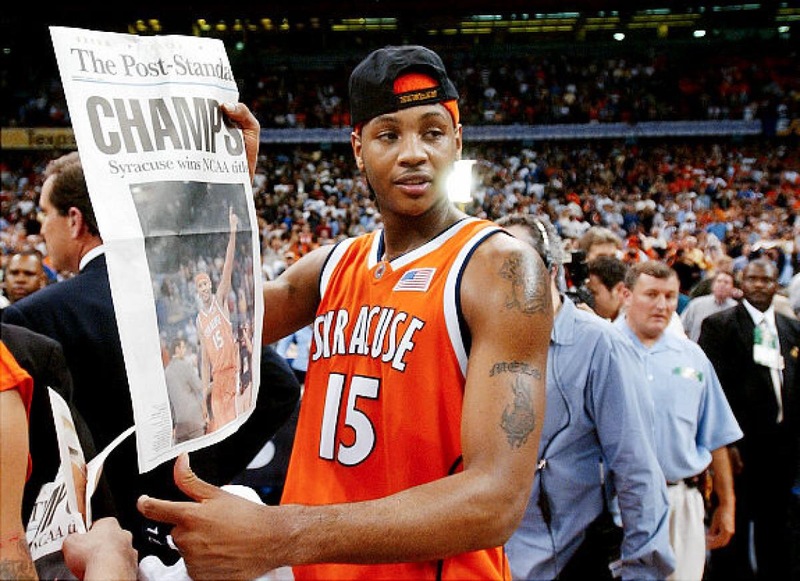 There are many different answers to these questions, but one thing is certain; Carmelo would be not only a Hall of Famer, but also a champion in Motown.